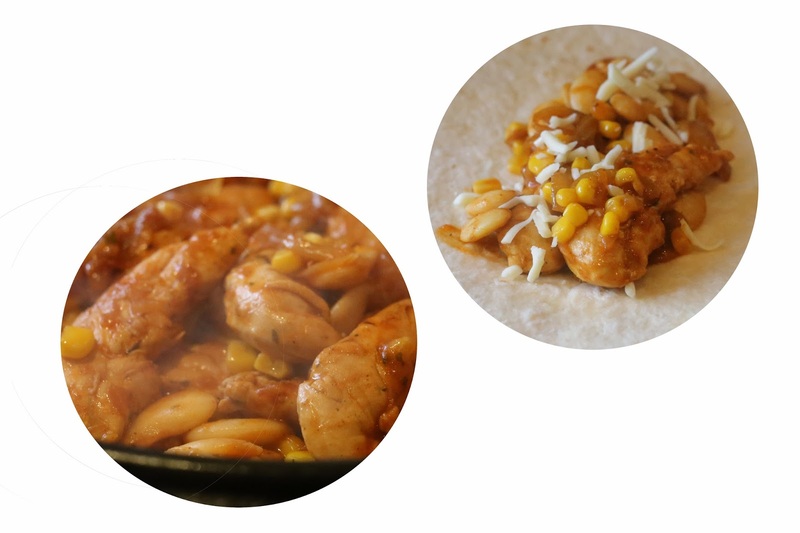 My take on the Hot & Spicy Chicken Wrap it has been a love affair of mine for a very long time. Mainly because it's quick and easy and of course cost effective. It can be done and adapted in many different ways to suit your taste. First step is peeling the onion and chopping it into thin slices or cubes. It is important for any recipe that you make to create a base. My father was in fact a chef for many years and told me this piece of vital information. It is essential when making food to learn what your preference is, in terms of onion or garlic as when you mix them you loose their individual tastes. My preference is onion so this is the reason I select this ingredient for many of my dishes. When the onions are soft and when they have picked up the colour of the Suya mix use a wooden spoon in a circular motion so that it leaves a small circle in the middle of the pan and then add the chicken. Cook for 5 minutes on a high heat. Mix the chicken so that it cooks evenly, beware of the chicken drying add water or wine to avoid this from happening. Add the half a stock cube (chicken or vegetable) break it up in your hands and sprinkle it into the pan with 2 tea spoons of tomato puree. It might be wise to reduce the strength of the hob so that it cooks the chicken cooks through for around 10 minutes. After the 10 minutes add the butter beans let them cook for 2-3 minutes then add the sweetcorn and cook for a further 2 minutes. Once you are happy and have checked the chicken then warm up the wraps sprinkle a few drops of water to avoid them crisping up. Place the chicken in the middle of the wrap and wrap them how you see fit, you can add cheese on top just to give it a little extra!